Hairspray is often used by both men and women to hold hairstyles in place. Common ingredients include alcohol and polymers that are similar to those found in paint and glue. In hairspray, though, they are chemically modified to be flexible and fast-drying. Other ingredients include conditioning and neutralizing agents. 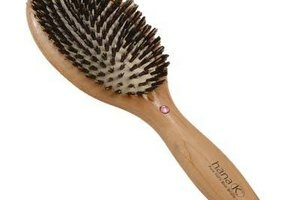 Generally speaking, most hairsprays will not cause damage. However, some kinds of hairspray can damage your hair. Read the ingredient label before choosing a hairspray. There are several different kinds of alcohol. Hairsprays that contain ethanol can be very damaging to your hair as they dry it out. Ethanol may also irritate your scalp. Other alcohols, like cetearyl alcohol, stearyl alcohol and cetyl alcohol are often found in shampoos. They help to moisturize your hair. Repeated use of hairspray between hair washing may cause certain brands to create layers of stiff, dandruff-like particles that flake off. Although it is not true dandruff, these small white flakes can fall on your scalp or shoulders, giving you the appearance of being plagued with dandruff. If you find that the brand of hairspray you use does this, wash your hair more often or change brands. Look for a brand with a conditioner in it. Hair spray works by creating polymers that coat your hair, making it stiffer. If you use a lot of hairspray, you may find your hair looks dull, not shiny. A hairspray that contains silicone, sodium PCA, vitamin E or panthenol will help retain moisture and shine. Even though your hair is basically made up of dead cells, these help your hair to look healthier. 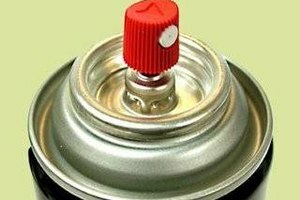 Since all hairsprays are highly flammable, especially before they dry, never apply hairspray near an open flame. Do not smoke or apply hairspray if you are standing near a smoker. Serious burns to your head, face and upper torso could occur. If you develop an allergy such as an itchy scalp or asthma when you use a certain hairspray, stop using it immediately. Read the ingredient list to see if you can isolate which one is affecting you. Then you can avoid it when you use other hair care products. Also, washing and conditioning your hair regularly will help keep it healthy.